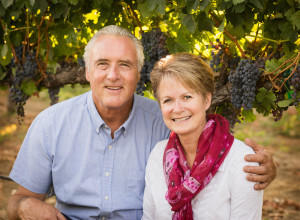 The son of the fourth generation, Brian Schmidt and his wife, Janice, have protected and nurtured the vineyards since the 1990’s. Early supporters of the sustainability movement, they have focused on producing balanced vines with evenly distributed fruit, preserving and improving soil structure through the use of cover crops, implementing regulated deficit irrigation with a pressure bomb to improve wine quality and managing pest issues using integrated pest management. Brian represents the fifth generation to be born in Healdsburg and grow up on the family ranch with his sisters. After his father retired, Brian continued to farm the vineyards utilizing the techniques he learned at Cal Poly and the wisdom he gained from his father and grandfather. A founding member of the Winegrowers of Dry Creek Valley, Brian is focused on promoting the region’s award winning grapes. 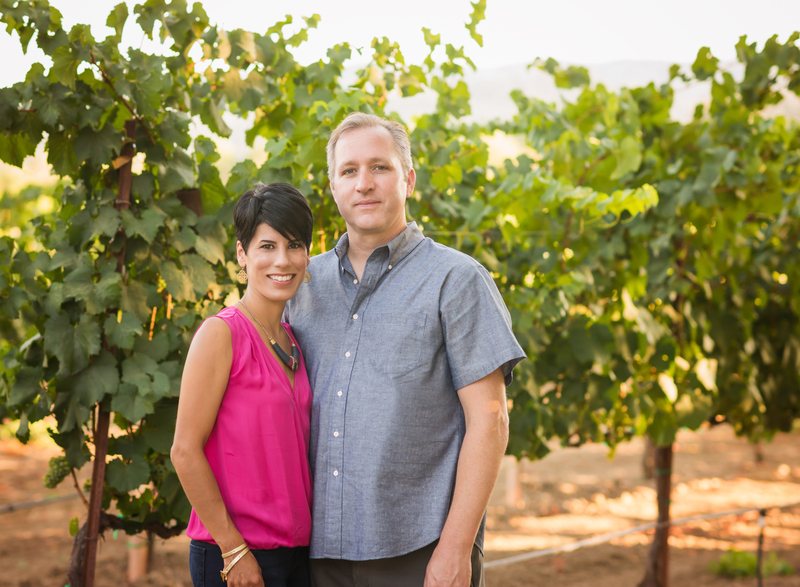 Janice grew up in Sonoma County and attended UC Davis, graduating with a BS in Food Science and a MS in Enology. Her thesis research, mentored by Dr. Ann Noble, focused on wine flavors, aroma profiles and the terms that could be used to describe wines. Janice’s research was instrumental in helping to design the renowned Wine Aroma Wheel. Leaving academia behind, Janice spent the next 20 years at Jordan Winery, working with winemaker Rob Davis and legendary wine consultant Andre Tchelistcheff, crafting the quintessential Sonoma County Cabernet. Rob, the second of Brian’s four boys, is the sixth generation to grow up in the Dry Creek Valley. He and his wife Rachel have joined Brian and Janice to, simply put, produce the types of wines they like to drink. Rob was raised on the ranch and spent his childhood exploring the valley. After high school, he was active in the community, serving on the Geyserville Volunteer Fire Department before enlisting in the U.S. Marine Corps. He earned a BS in Business Administration from CSU, Chico, where he met Rachel. Rachel grew up in Pleasanton, CA, part of a large extended family. Also active in the community, she served as a student ambassador for the Pleasanton-Tulancingo Sister City Association, which sparked a keen interest in travel. 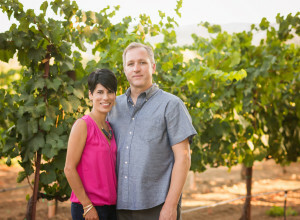 She earned a BS in Business Administration and Minor in Spanish from CSU, Chico, where she met Rob, who introduced her to the beauty of Dry Creek Valley. Rob and Rachel have had the unique opportunity to travel and work overseas, living in both the Philippines and the UK. While living in Europe, they spent a lot of time in France, where they gained a deep appreciation for the art of blending varietals. In joining Brian and Janice in this venture, they are realizing the family’s long-sought dream of crafting exceptional wines from the grapes the family has so diligently cultivated over the years.